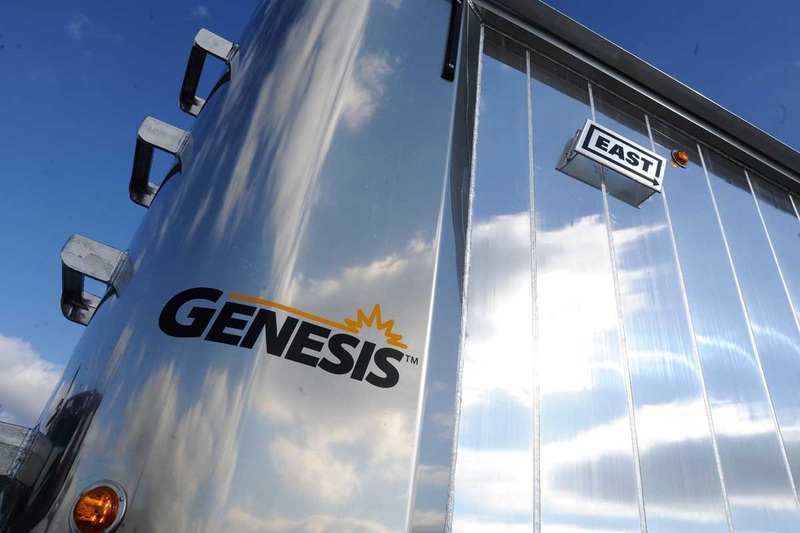 We revolutionized dump trailers with our smooth-side East Genesis® design that customers tell us adds up to ½-mile per gallon compared to traditional external post trailers. The more aerodynamic design is easier to clean, and will not show any pings and dings on the outside like external post-style walls. The outboard Genesis design provides more capacity than traditional external post trailers. Three-inch spacing of interior panel ribs means the inside walls stay flatter, creating fewer high points to reduce wear. Optional thicker aluminum in higher wear areas such as the last 4-feet inside the trailer. Smooth walls can be left polished as they come from the factory, or used as the base for company name, logo and attention-grabbing graphics. 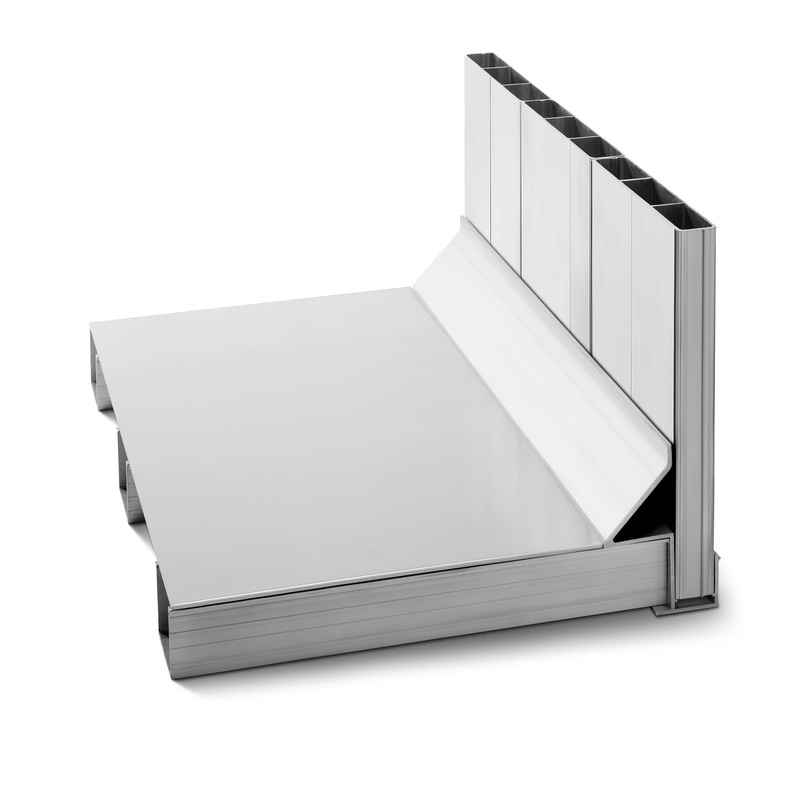 The aerodynamic design has unique 2-inch-thick, double-wall extruded aluminum panels, robotically-welded vertically inside and out for superior strength and resistance to bowing. 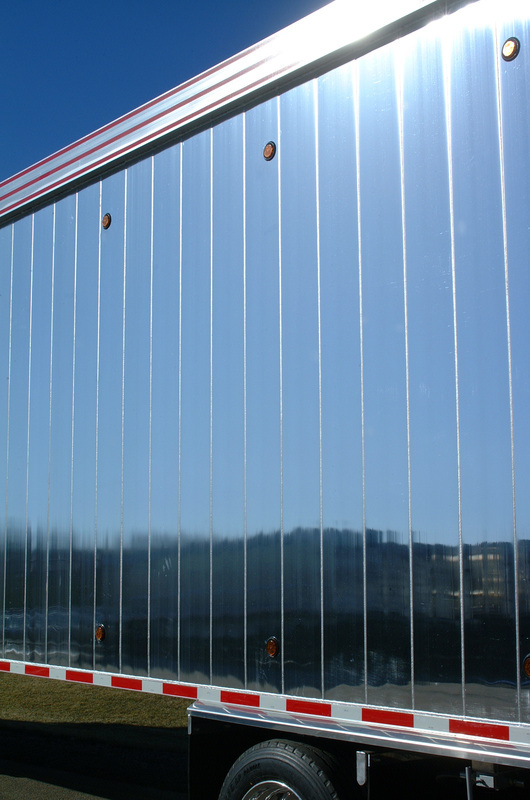 It protects the outer wall from dents, improving resale value – keeping your trailer looking good. Vertical panels are lighter than competitive horizontal panel systems, resist bowing better and reduce maintenance costs. In addition to maximum strength, welding inside and out reduces corrosion. 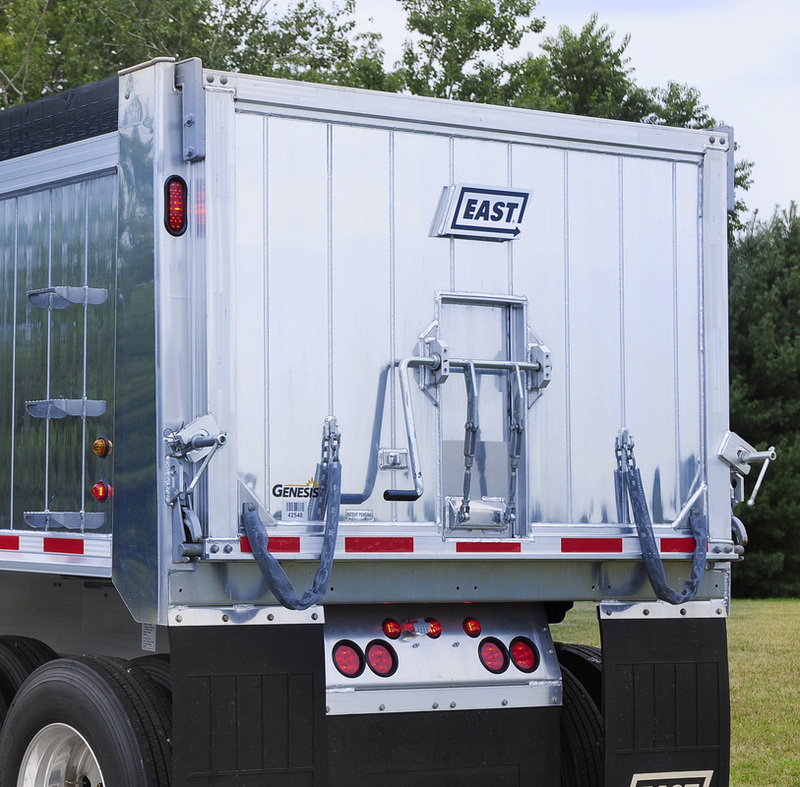 The welded union of cross members, floor plates and sidewalls result in trailer strength. For a super strong floor-to-wall attachment going, cross members and floor plates interlock into the bottom rub rail, forming a pocket to accept the sidewall panels. The 3-inch spacing of interior panel ribs give 8 times more wall support than external posts. The inside walls stay flatter. Less weight without sacrificing strength or durability. Dirt, mud, snow and ice don’t build up on the smooth surface.